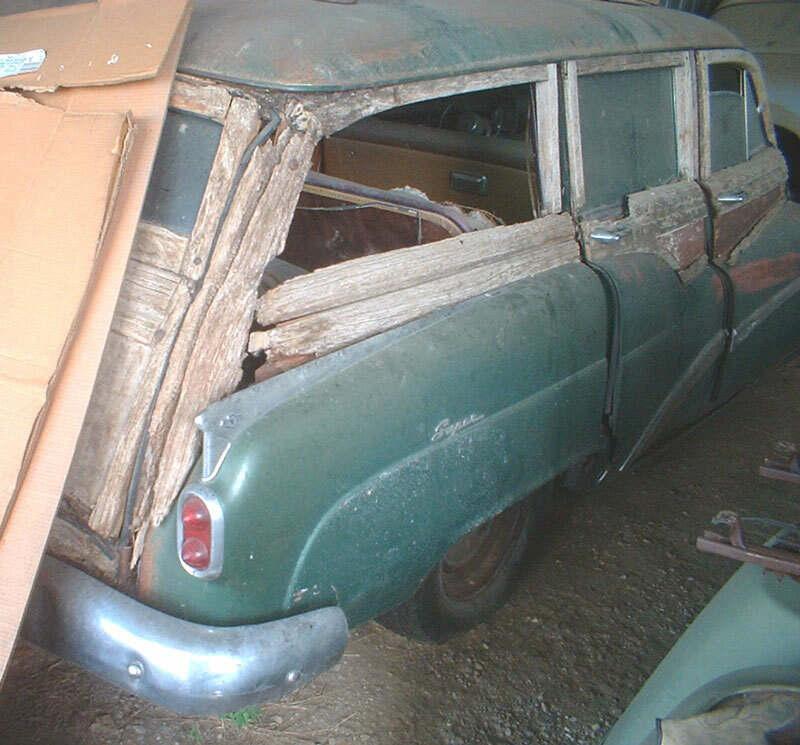 This green 1952 Buick Super woody station wagon is a very scarce, desirable wagon ready to be restored. The body is fairly solid and complete. Most of the wood is there for patterns. There is some rocker rust. The right front parking light assembly is bent down. There are not photos of the rest of the front or left side because there is no space around this areas in the storage barn. The right front floor is rusted and we do not know the condition of the rest of the floors. The green and brown interior is all there. The 8 cylinder motor and manual transmission are there but wee do not know if anything is missing. The running condition of the power train is unknown. This is a high dollar woody wagon when restored so don't miss this chance. 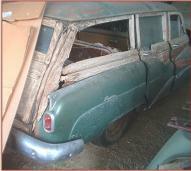 Please call 406) 318-0270 for details about this restorable classic 52 Buick woody wagon. For sale $14,000.